Add you on MSN! What’s your Bebo username? IN THE MID-2000s internet culture was fairly new – Youtube, Twitter and all the sites we hold so dear today were only just starting out. What we did have in 2004 was MSN Messenger (later Windows Live Messenger, but who called it that), Bebo and MySpace, and they shaped our social lives for the better part of those years. Now MSN Messenger is no more, MySpace lost out to Facebook, and Bebo is still trying to soldier on, but it’s just not the same. 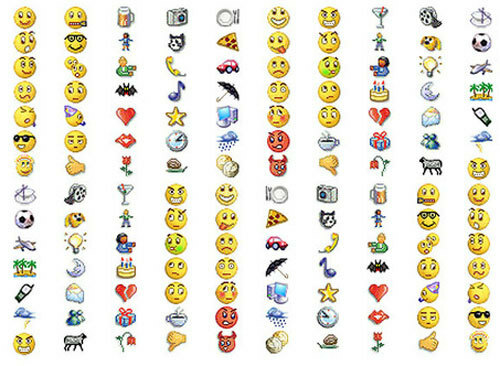 Here are the little things that made mid-’00s social networking incomparable. Forget using your real name – you could have a new name, a name that would represent you to the whole online world, so you had to choose carefully. Sxxygurl91/ArsenalFan13/slipknot_rock666 it is! On MySpace, you could customise your page exactly to your needs using HTML. On Bebo, it was all down to choosing the perfect skin for your profile. Both of these took time and effort. Bebo allowed you to have 16 top friends, giving you a lot more wiggle room than MySpace, which permitted only eight. The fallout from being omitted from a top friends list could make or break a friendship. You’d just seen all your friends in school, but you went straight to the computer anyway, just in case anything cool had happened on the way home. The SHAME of accidentally sending a revealing MSN message to the fine thing in your class instead of your best mate. Better send a few hundred of these things to cover it up. A notification usually popped up: “i_love_horses has added you to a group chat.” Clicking on this sent you to the seventh circle of hell, complete with a continuously rolling, impossible to follow chat feed, arguments spanning multiple pages, and countless “This person has left the chat” messages. Before Facebook pokes, there were nudges and winks – they bumped the chat up to the top of the pile and shook the computer screen so violently you couldn’t possibly ignore that person any longer. This function could also be used to make it seem like you had some sort of life outside the computer. See also: signing in and out to get someone’s attention. MySpace was THE place to follow musicians and bands back in those days, and getting a friend request from your favourite band was a moment to cherish. They knew you existed…almost. His name was Chad, he lived in Minnesota and went to a real American high school, just like the movies. You didn’t know what he looked like, but you knew he loved My Chemical Romance, so he was definitely sound. It was essential that people think you were cool and/or deep – this song would express how you were feeling when words just weren’t enough. You also added song lyrics to your quotes column on Bebo, or left them as your personal message on MSN. The preferred pose was the MySpace Angle: camera held above head at arms length, high exposure, head tilted downwards. Filters were just as popular back then – black and white especially, to help convey your angst. Email “14 reasons the early 2000s were the golden age of social networking”. Feedback on “14 reasons the early 2000s were the golden age of social networking”.